With the income from his low-key beach pub, the Sand Bar, Harry Rice has room for discretion in the detective work he takes on. So he should have been a little more selective about taking Eloise Loftus's case - especially since Wade Loftus tried to fire Harry before Eloise even had a chance to hire him. It seems like a fairly simple job. The Loftuses' apartment was cleaned out by burglars, and while the insurance company has replaced nearly everything, they can't do much about the stolen collection of antique guns. 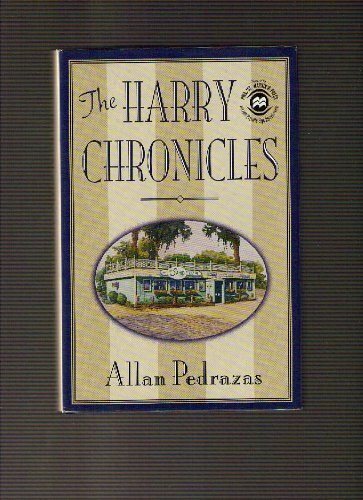 Disregarding Wade Loftus's objections, Harry starts looking for the guns, only to realize that all is not what it seems. Simple theft segues into adultery, smuggling, and murder - with Harry perfectly positioned to take the blame. This nimble, award-winning novel (1994 Best First Mystery contest sponsored jointly by St. Martin's Press and the Private Eye Writers of America) is set in a part of Fort Lauderdale that tourists rarely see. The personable Harry Rice, who supports his penchant for detection by running the kind of bar that respectable PIs past and present would happily call their own, is a glib wisecracker, whose unlucky love life and solo walks on the beach mark him as a soulful type, too. His difficult new client, the middle-aged but well-put together Eloise Loftus, is holding out on him. She says she wants him to find a valuable gun collection that she claims was stolen from her apartment during a physically impossible heist. But her husband scares Harry off the trail. So does a sultry redhead who both piques Harry's curiosity and delivers a highly professional warning to back off the case. Then the husband turns up murdered and Harry becomes a suspect. While many of the supporting cast are PI-territory indigenes and Harry himself has caricature moments, Pedrazas proves himself a sure-handed storyteller with an engaging voice. First-timer Pedrazas takes to mystery like the proverbial duck to water. He places his charming, sympathetic protagonist in southern Florida?a fertile setting for several well-known authors?and sticks him with a murder case of infinite variety. Narrator Harry Rice, a thirtysomething bar owner and part-time private investigator, agrees to find a stolen gun collection for Eloise Loftus, not knowing that he will soon stand accused of her husband's murder. An elusive naked dancer; an aging mobster and his hard-bodied, knife-wielding moll; and Harry's bartending cohorts add pizzazz. Great dialog, colorful locale, and skillful construction strongly recommend this title.